Deliberations of the COG are conducted at regular, public meetings. A schedule of and materials for WestCOG’s meetings can be found here. Persons wishing to communicate with the COG are invited to do so through their CEO and/or during comment periods at COG meetings. 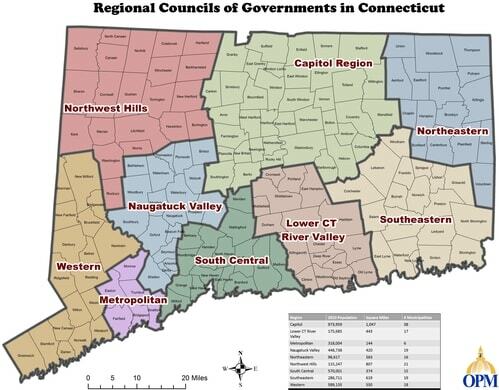 A map of Connecticut’s regions, with links to their respective COGs, is below.